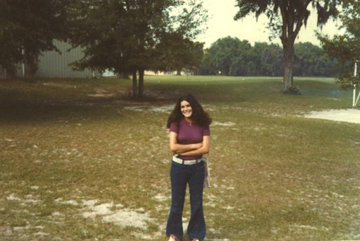 Vivian White on the front lawn in May of 1973. The gym can be seen in the left background, and a corner of the vollyball courts can be seen to the right. Photo sent in by Allan Bankston, class of 1973.